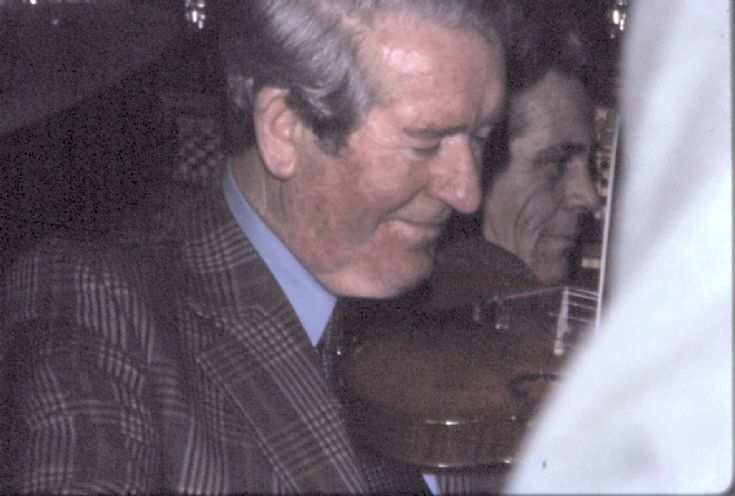 Friend and musical colleague for many years -EDDIE PEACE - fiddle player and accordionist. Is that Pat Reid to Eddies left? I'm not sure Lindsay. It looks like him. This was not a dance band scenario. It was either a Strathspey and Reel Society, or an Orkney Accordion and Fiddle Club performance. Exact date and venue unknown.